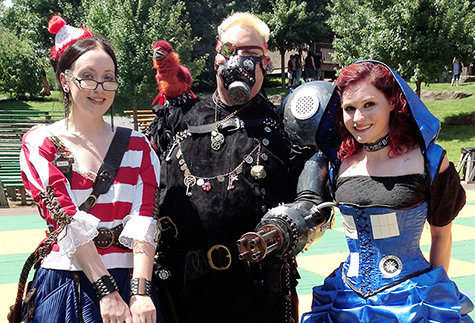 The Faire will be open 13 weekends again in 2019! 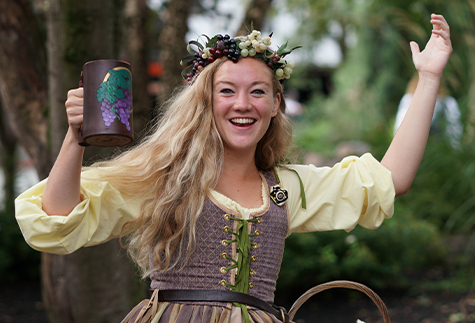 The castle gates swing wide August 3, and the Faire continues weekends plus Labor Day Monday through October 27! Each weekend throughout the Faire season will showcase an exciting and unique theme that offers a different experience every time. Enjoy themed entertainment, foods, participatory contests and activities in addition to the regularly scheduled events. Be sure to return again and again to experience each theme. All events are subject to change. Her Royal Highness arrives upon the Shire to greet her biggest fans, the nipperkins! Bring your children and the child inside with special opening weekend pricing and have a day of play! 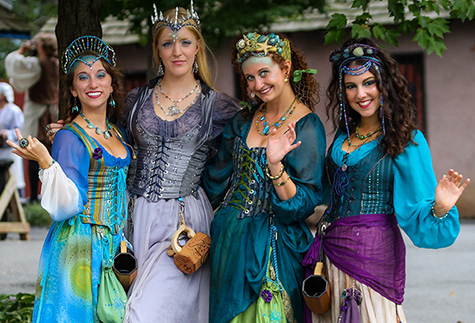 The Shire welcomes entertainers from near and far to participate in the Faire day's revels, making discovery of the world possible in one weekend. Share in the Celtic pride of pipers, Highland Games, Celtic wares, foods, music, dancing, and lots o' those bonnie lasses and kilt clad boyos! Fantasy, fact and fiction converge on the Shire as the denizens celebrate storytellers and the inspirations of their imagination and adventures. Her Royal Highness honors all active, reserve, veteran and retired military, police, firefighters, emergency medical technicians and their immediate families with a special admission price with valid service ID during the longest weekend of the season! 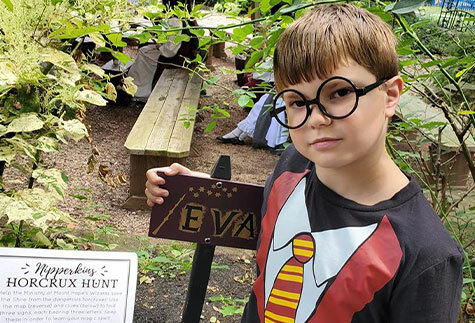 Whether you posses the gift of magic or enjoy life as one who is unaware of the sorcery surrounding us, this weekend is sure to enchant all visitors to the Shire. There comes a time in most lives when the need to raise the Black Flag arrises. 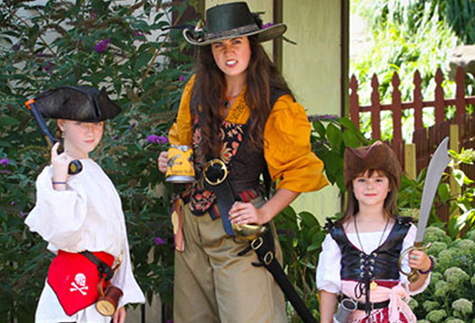 Let out a hearty "ARRR" and allow your inner pyrate to set sail for the Shire of Mount Hope! The soothsayers have foreseen a chronological convergence of time travelers, doctors, treckers of the stars, the steam-punkified, slayers, and many more fictions of science as they gather upon the Shire of Mount Hope. 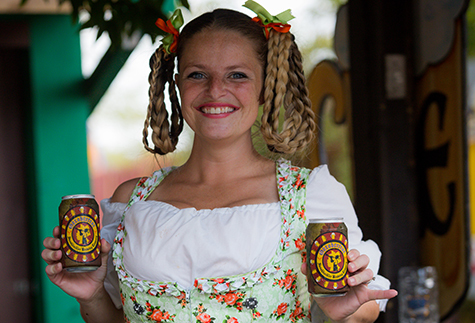 Raise a stein to German heritage with micro-brewed ales from the Faire's very own Swashbuckler Brewing Company, the authentic food and dance of the Germanic Nations…and don't forget your lederhosen! Celebrate the time honored tradition of the harvest, commemorating vine to bottle and tree to glass with the fall libations we love. Free Sampling at the Mount Hope Wine Shop will help you discover a new favorite Mount Hope Wine and Lancaster County Cider. 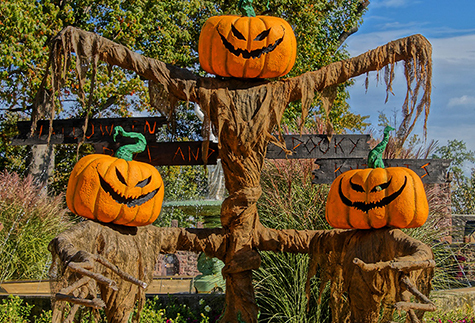 Three weekends of mystery and mayhem kick off this weekend as spooky creatures of every variety haunt the Shire. Join the good Shirefolk of Mount Hope for a grand All Hallows Eve celebration, complete with tricks and treats for children of all ages. 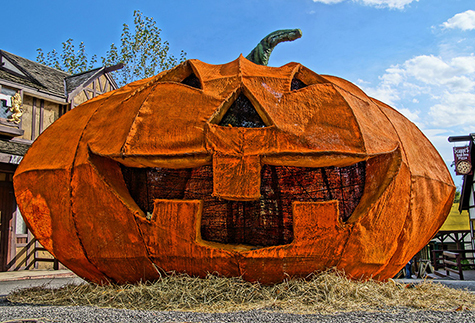 Three weekends of mystery and mayhem continues this weekend as spooky creatures of every variety haunt the Shire. Join the good Shirefolk of Mount Hope for a grand All Hallows Eve celebration, complete with tricks and treats for children of all ages. Spooky creatures of every variety continue to haunt the Shire into the Final weekend of mystery and mayhem! Join the good Shirefolk of Mount Hope for a grand All Hallows Eve celebration, complete with tricks and treats for children of all ages. 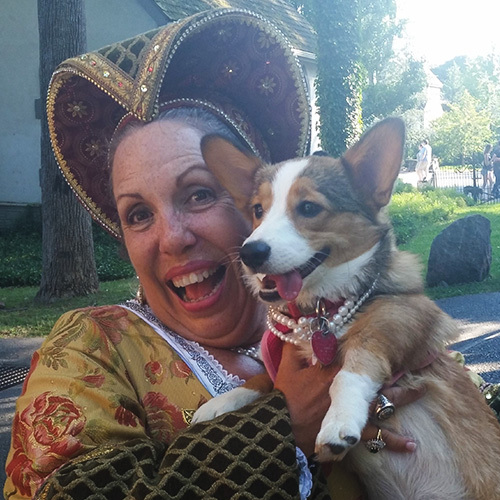 Her Majesty has issued an invitation to the lovers of dogs and their furry companions to join her and the Royal Hounds upon the Faire grounds each weekend of the 2019 Faire Season. 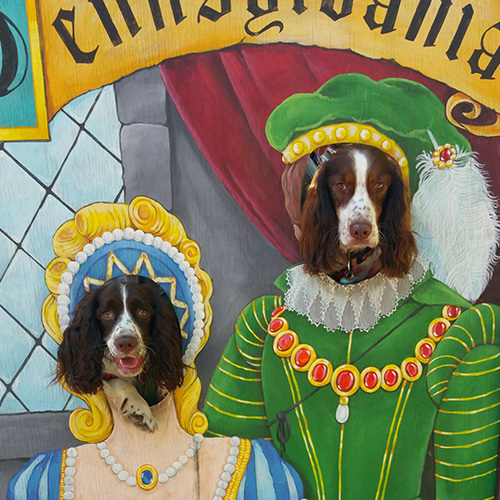 Howe'er, she doth expect one and all to follow these most serious Dog Days Decrees while visiting the Shire. Please download the Dog Days Registration Packet while includes the Dog Day Decrees listed below, Royal Dog Days Qualified Dog Registration Form (2019) and the Royal Dog Days Qualified Dog Waiver (2019). 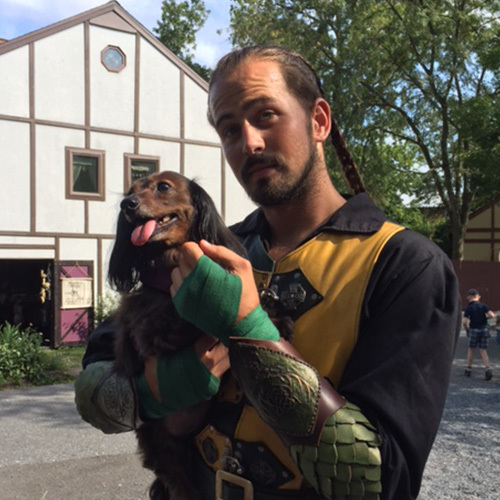 The Faire welcomes dogs with responsible owners. Owners must be able to provide proof of Rabies Vaccination. 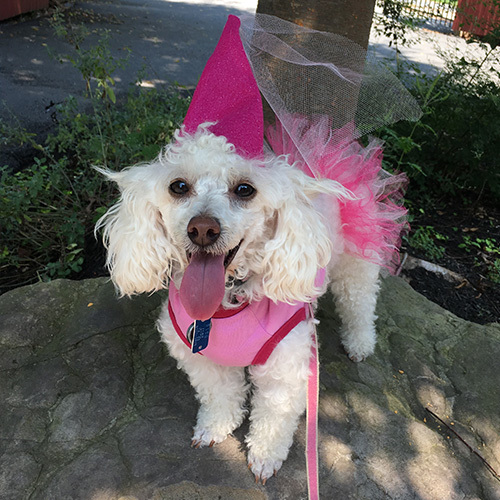 Owners are required to check in at the Dog Days Registration Window at the Front Gate upon arrival to receive the necessary identification indicating that their dog has been registered with the Faire. 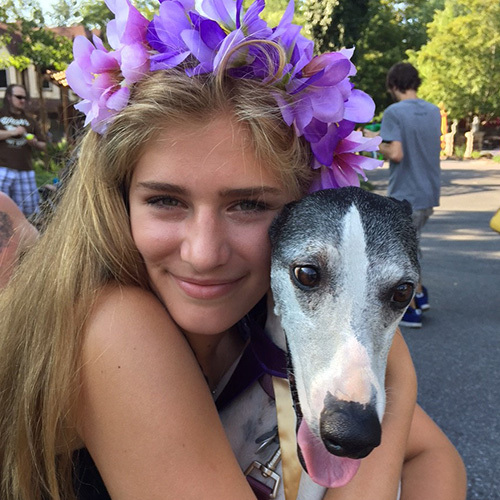 Owners must provide the completed Royal Dog Days Qualified Dog Registration Form (2019) and Royal Dog Days Qualified Dog Waiver (2019), which can be found in the Royal Dog Days Packet, before entering the Faire grounds. All dogs be on leash (maximum of 6 feet) and kept under control. Retractable leashes are not permitted. All owners are required to clean up after their dogs. Do not allow dogs to relieve themselves on walkways or inside booths. Guests may not leave dogs unattended at any time upon the Shire. Dogs shall not be left unattended in vehicles or in the parking lot. Only well-behaved dogs in good health will be admitted. 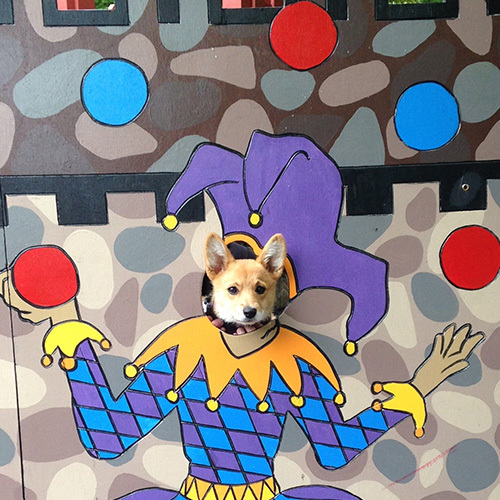 The Faire reserves the right to refuse any dog. 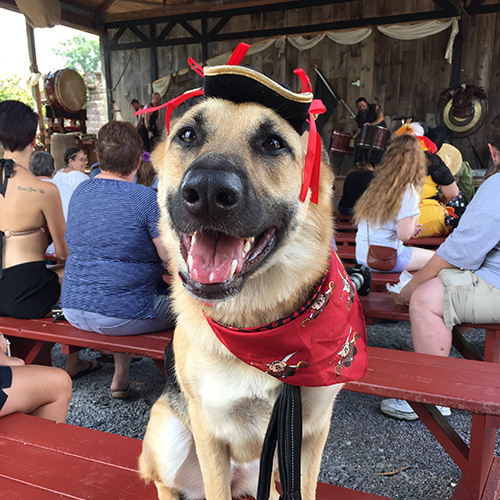 Dog owners shall adhere to any requests of performers, merchants or Faire staff, should an issue arise with any dog during a performance, inside a merchant booth or otherwise. 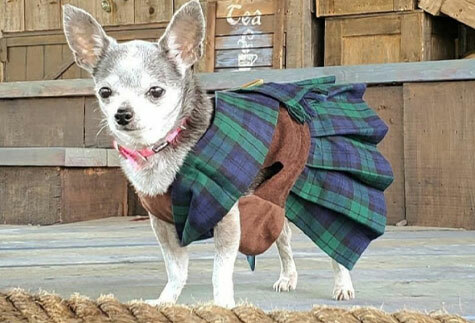 Not all dogs visiting the Faire will be comfortable with their surroundings. 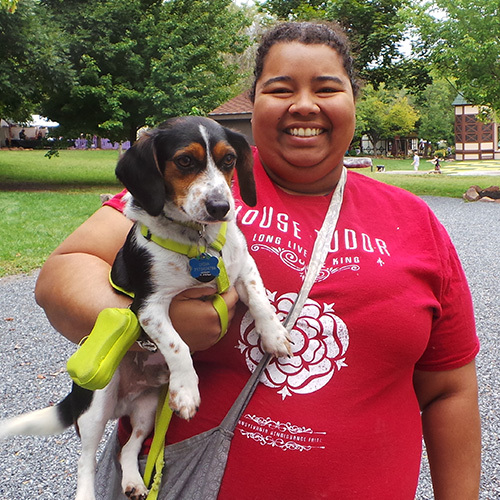 It is for that reason that we reserve the right to ask anyone whose dog appears to be uncomfortable or is not under control to remove the dog from the park. Dogs are not permitted inside the Anchor & Mermaid Tavern or the Carriage House Wine Shop. Service dogs are permitted in these locations. Failure to adhere to any of the above decrees will lead to the owner and their dog to be escorted to the gate without admission refund. 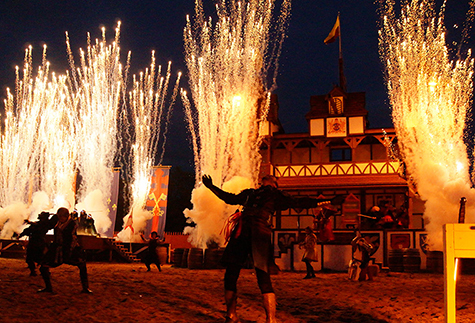 Some performances contain the use of pyrotechnics, cannon fire, cracking whips, or gun fire. For a list of shows, please see the "Guest Services" section of the FAQ below. Enjoy delicious foods from over 20 Royal Kitchens throughout the Shire! Plus fresh Swashbuckler Ales, Lancaster County Ciders and Mount Hope Wines at our Pubs and Pourhouses! Please visit our Official Weapons Policy Page for full details. What is your carding policy? Please Note: ALL ATTENDEES, including Designated Drivers, will be carded at the gate and must be over the age of 21 to enter BrewFest. NO ONE under the age of 21 will be admitted. This includes children, toddlers and infants. No refunds will be issued to patrons under the age of 21 attempting to enter the festival. In order to confirm interpreting services for an upcoming visit, guests requesting interpreting services must provide the following details to the Faire’s business office by emailing RoyalSPK@PaRenFaire.com. Admission prices for adults (ages 12 and up) are $27.95 in advance (online) and $31.95 at the gate. Children (5-11) are $12.95, while those 4 and under are free. 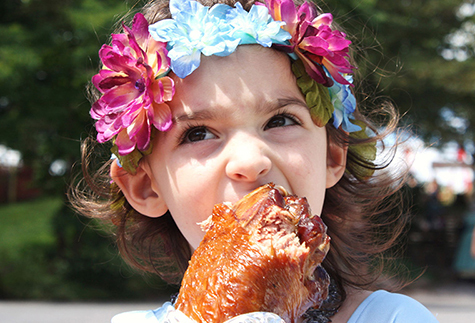 Admission includes all Faire shows and entertainment, including Themed Weekend competitions and activities. Games, rides and food are not included. 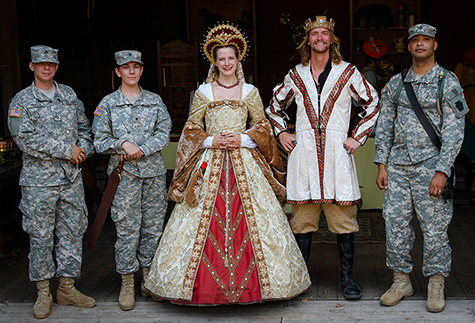 Simply put, the PA Renaissance Faire is not a “pass the hat” event and is paid for by the King’s Purse. Entertainers hired to perform for our guests receive compensation for their performances and need not rely on guests donations for their livelihood. 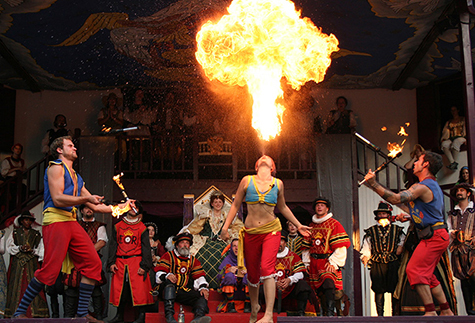 Our admission price reflects the budget necessary to bring the highest quality entertainment to the Faire’s many stages and streets. The Mud Beggars are permitted to pass the hat because it reflects how they would have survived in Renaissance England. Additionally, guests may encounter traveling musicians busking on the village streets. This also reflects how traveling musicians made their living. Donations to these performers is always appreciated and always voluntary.